I've barely shopped for many months, so I treated myself to a couple of cute, super affordable items over the weekend. Between its simple silhouette and neutral color palette, this dress is sure to be a summer staple! Yesterday I swapped my pencil skirt for jean shorts to create a casual denim-on-denim outfit for an after-work barbecue. 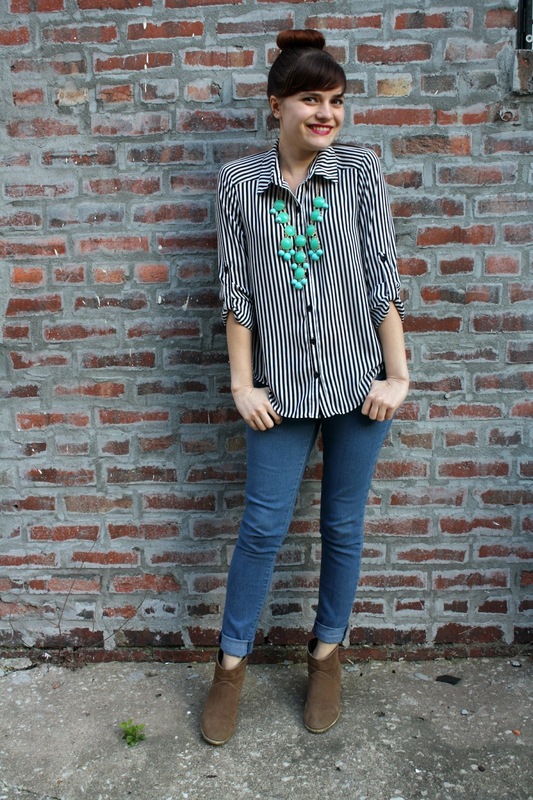 It was a quick, easy switcheroo that perfectly transformed my look! Subtle pattern, a touch of texture and plenty of color came together to create this playful look! My apologies for the lack of posts lately. I just started a new job, but I plan to get into a good groove with my new schedule soon. Thanks for sticking around! I loved the graphic, mod feel of this combination. 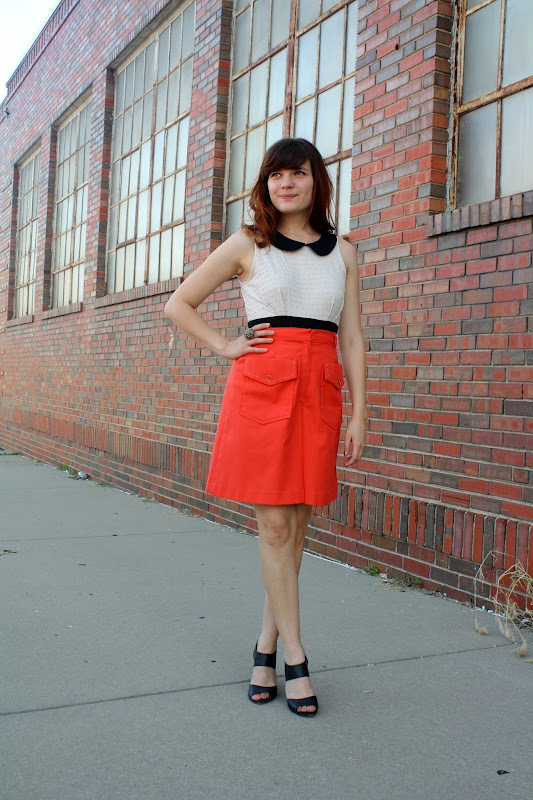 As it gets hotter, my outfits tend to get simpler, so I try to appreciate the little things like fun details, interesting shapes and pops of color. Sunday's perfectly summery afternoon was spent indulgently enjoying food and drinks at various destinations in the Kansas City Crossroads. A laidback look seemed appropriate for the day, so I went with these fun '70s overalls. I'm obsessed with jumpsuits these days and would love to add more to my collection, but they're a tricky piece to find! I love dressing for a theme, so I took full advantage of the Gilded Summer concept for Saturday's fashion show. Starting with my appropriately golden top, I piled on the texture and shine to create a look with the Midas touch. I recently started a new feature... cocktail recipes! If you missed the first one, a yummy apricot whiskey concoction, you can find it here. 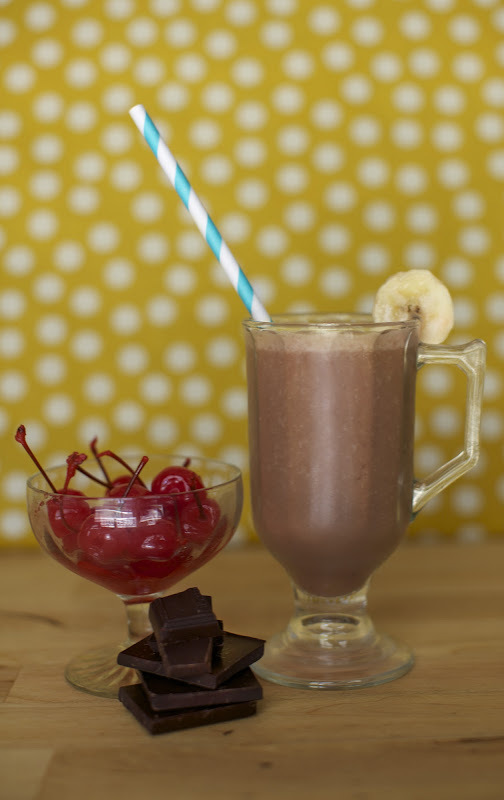 While I tend to avoid sweet drinks and am not a big fan of rum, this indulgent milkshake-y recipe is such a treat! It tastes like a dessert but doesn't have much sugar. 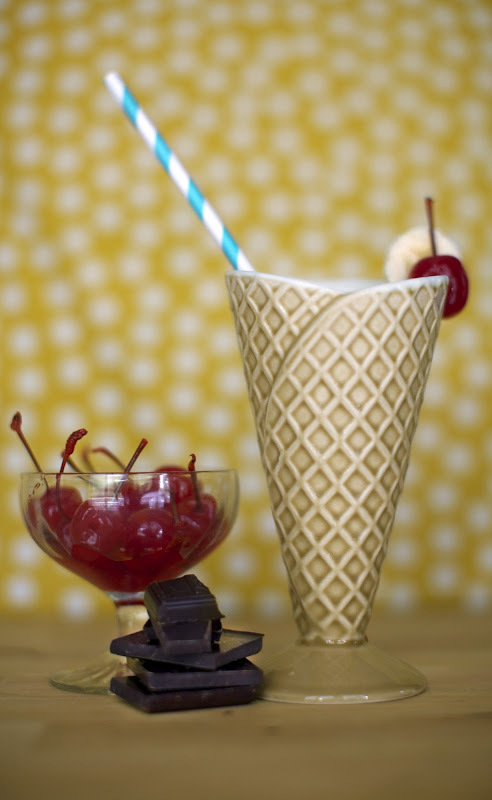 Garnish with whipped cream and a maraschino cherry if you wish! "to be like a bird in a gilded cage is to live in luxury but without freedom"
Sarah Nelsen and Sara Cramer, two impressive creative talents from Kansas City, met serendipitously as panelists at an AIGA Homegrown: Fashion event. Little did they know, this meeting would lead to a powerhouse partnership in the form of a collaborative collection for this year's West 18th Street Fashion Show. The theme, Gilded Summer, had the duo "swooning." Starting with the idea of luxury, they honed in on the concept of the gilded cage. "Even if you're wearing exquisite garments and luxurious jewels," said Sarah N., "it doesn't mean you're living the best life." 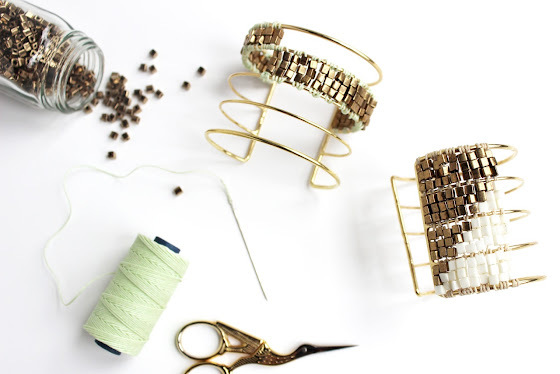 Through its exploration of the evolution of the gilded cage, the collection incorporates elements spanning from the Victorian Age to modern day. 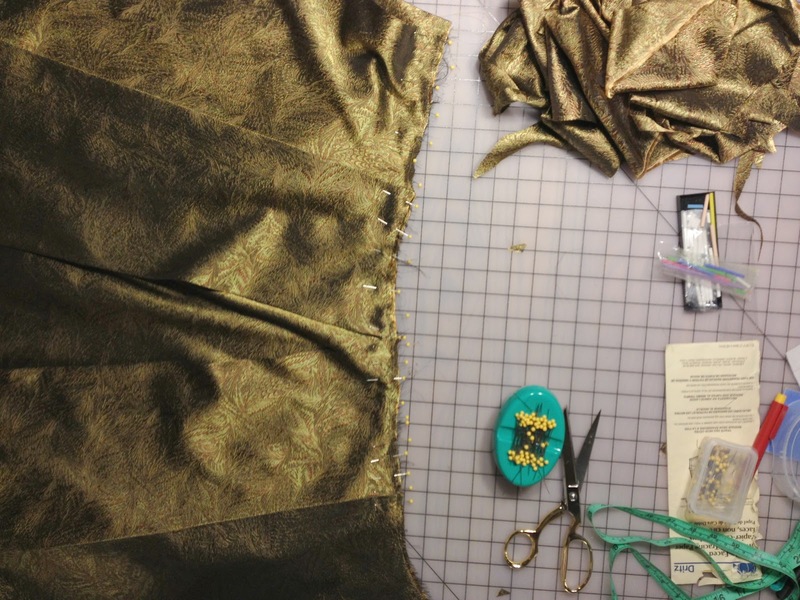 One of Sarah N.'s garments in progress. 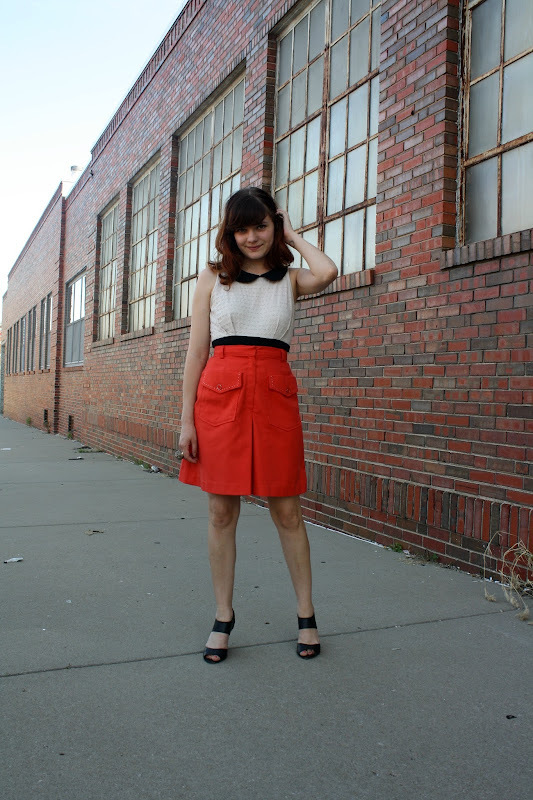 Sarah N., who is responsible for the garments in the collection, also showed at the West 18th Street Fashion Show in 2010. Compared to her past work, Sarah says this line is "more cohesive, a stronger story." 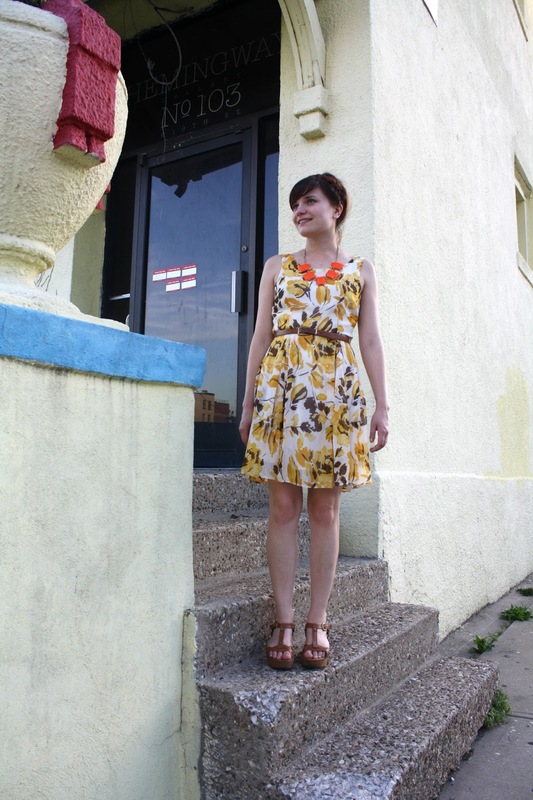 While she formerly focused on custom digitally printed fabrics, she is now expanding into other processes. The materials of this collection include silks, brocade, printed charmeuse and even gold lambskin. Though the fabrics are extravagant, the silhouettes are accessible. "People could see themselves wearing pieces from the show," she said. Some of Sara C.'s pieces in progress. 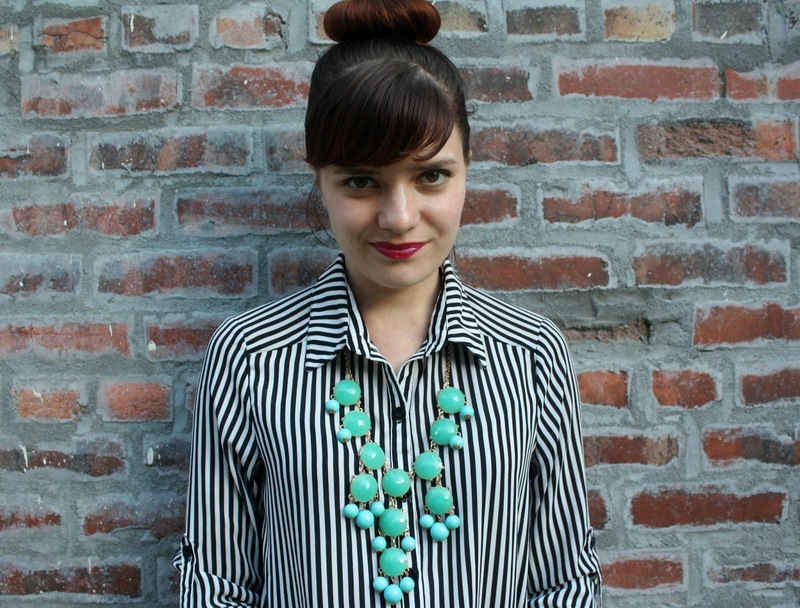 Sara C. is the mastermind behind the collection's accessories. 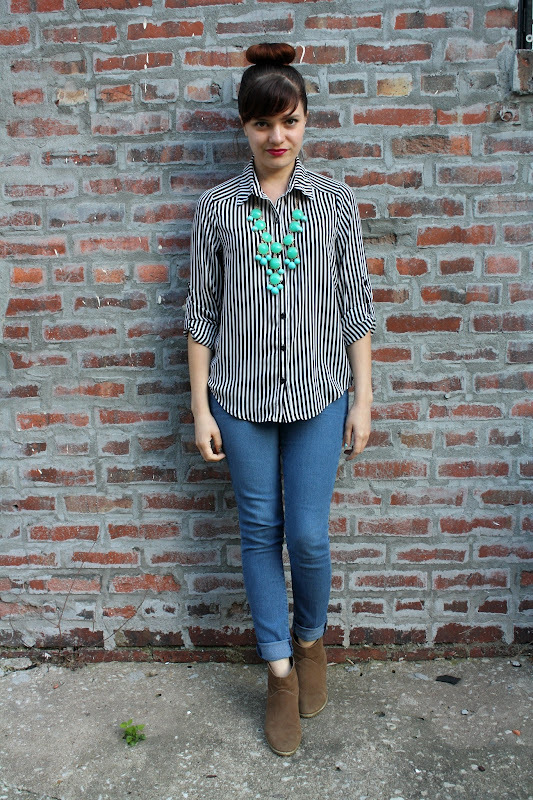 The team emphasized, however, that their looks demonstrate a more integrated approach than just clothing plus jewelry. Sara's beading appears on buttons, for example, and her incredible capelet is like a garment in and of itself. 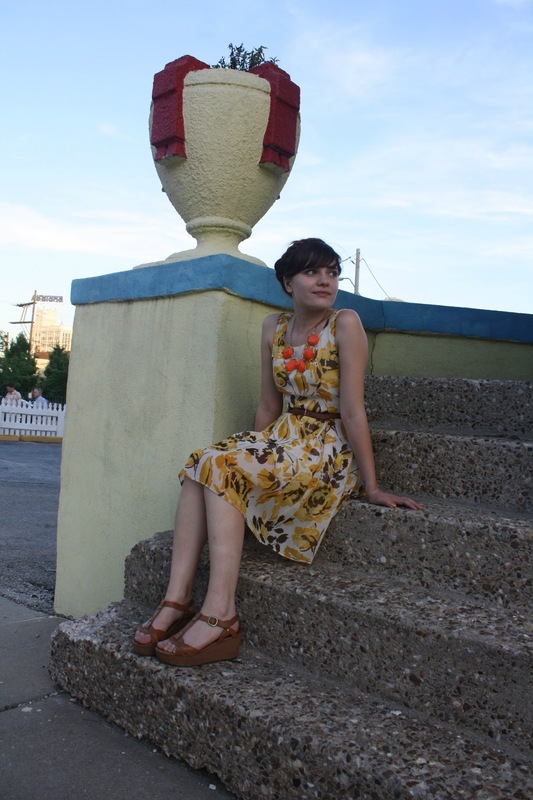 Sara has been showcasing her jewelry line, Handmade by Sara Cramer, at First Fridays for almost a year. Following her involvement in last year's fashion show, her brand has exploded and taken her to Chicago, Austin, London and more. 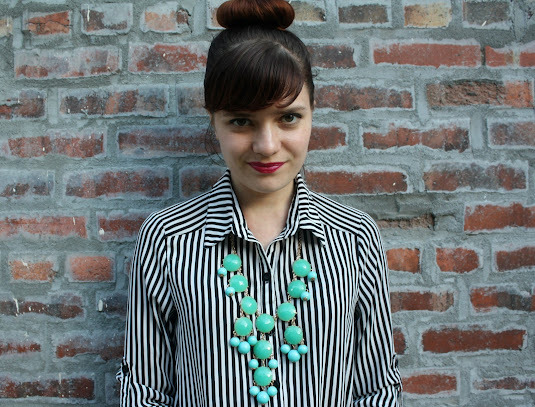 Her work, which is handcrafted from Japanese glass beads, has evolved from smaller, everyday jewelry to higher-end couture statement pieces. The custom-made, one-of-a-kind nature of her current work lends itself to the theme of luxury. 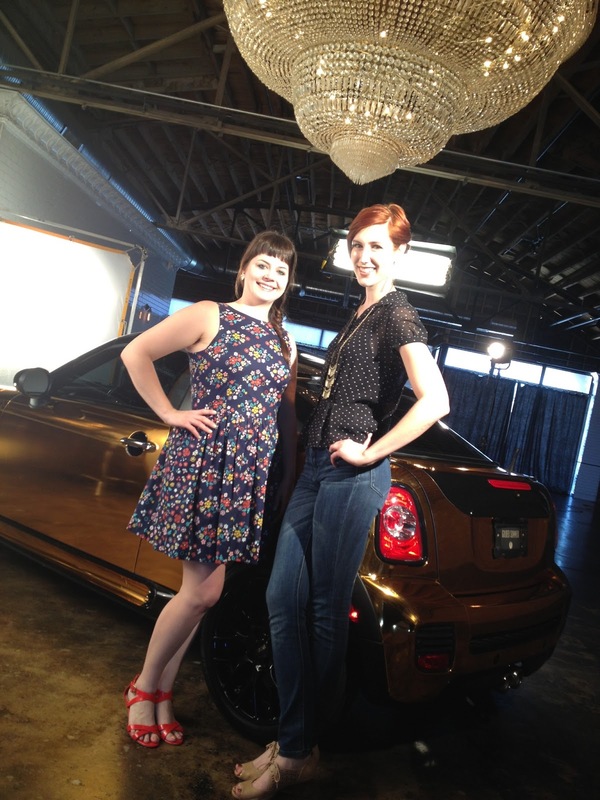 Sara C. (left) and Sarah N. (right) posing with a golden MINI. Having both been involved in the fashion show in the past, the designers feel that this year's show is something special. "It has evolved in production quality and organization," said Sarah N. "They have it down to a science now," Sara C. agreed. Presenting sponsor MINI has contributed to the event being "not just an art show," said Sara C. "It brings in a commercial aspect," she added, including the possibility of selling work. There will even be representatives from the Huffington Post in attendance. The evolution and success of this show reflects that of the Kansas City fashion and design scene as a whole, which the designers agree is growing tremendously. While their collection explores the concept of a luxurious but unfulfilling existence, these two designers have demonstrated the opposite in a way. They've made sacrifices and forgone luxuries for the sake of creating something beautiful. Sara C. lives, works and sells out of her studio, and Sarah N. does freelance graphic design work to pay the bills. "Graphic design feeds your stomach, and sewing feeds your soul," mused Sara C. about her partner's work. Contrary to the restrictive societal norms of the Victorian era that informed their collection, these two have forged their own paths to make their voices heard. 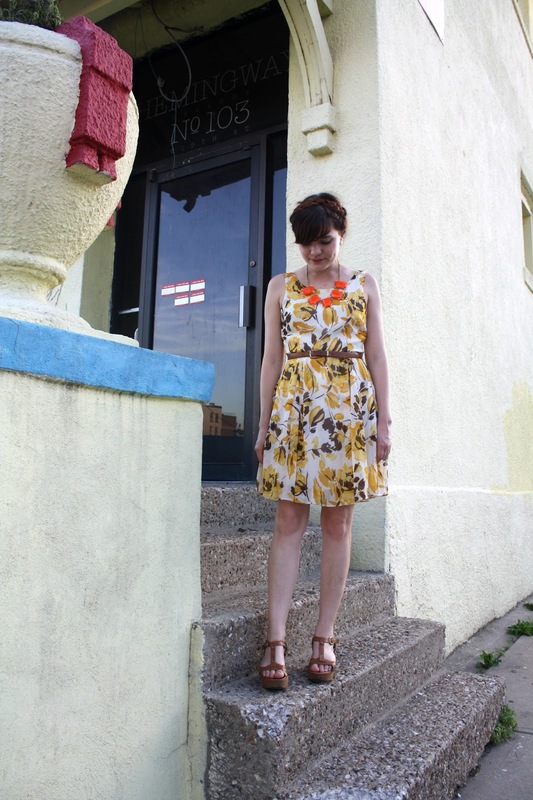 Sara C. is hosting a contest at her boutique-style studio (504 E. 18th St., second floor) this First Friday, June 7th! Everyone wins something just for showing up, and prizes include free tickets to the show, free jewelry and discounts of up to 50%. The first photo is a snapshot from a Pitch cover shoot. All images courtesy of the designers. On Monday, I had the pleasure of assisting with a photo shoot for Gilded Summer -- this year's installment of the West 18th Street Fashion Show. It was an inspiration to be surrounded by such talented, creative people! Check back tomorrow for an exclusive feature on one of the show's design teams! I have my ticket! Do you have yours? The show is free and open to the public, but you can purchase a ticket for a seat. They're available at Donna's Dress Shop and Birdies. June is off to a rather chilly start. Luckily, I still had some long sleeves and boots that weren't packed away for the summer. Because it's a statement piece, I didn't expect this necklace to be a staple, but I find myself reaching for it again and again. It's just such an easy way to make an otherwise simple look feel more interesting!